Our technicians are highly qualified, and factory trained for computer printer repair, maintenance, and service. We have over 25 years experience in the printer repair field, repairing impact & laser printers all across Tarrant & Denton counties. Printer Connection Service Technicians are specialist in repairing & maintaining industrial printers. Our technicians are experts in troubleshooting and repairing IBM printer repairs, Zebra Ft Worth repair, Compuprint, Genicom, Microplex, Printronix printer repair, SATO, and Tally printers. Printer Connection provides Onsite or Depot printer repair maintenance & service in the Ft Worth & Denton area. Printer Connection guarantees all repair work. Close to Trophy Club and Alliance Airport. And within a couple of miles of I-35W (see the map and contact info at the bottom of this page). We’re able to take care of your printers quickly. You’re able to have peace of mind knowing that a highly trained printer repair specialist, using quality parts is servicing your printer. We specialize in servicing & repairing industrial printers. By focusing on industrial printers, we’re really good at what we do. Need industrial printers serviced or repaired? Call us today (817) 430-6202. IMPORTANT: Most inkjet printers are cheaper to replace than to repair. We do not service HP OfficeJet or other inkjet printers. Check Office Depot, Staples or another office supply store for replacement options for inkjet and OfficeJet printers. Annual Maintenance Contracts for printer repair Fort Worth, available upon request. All parts and labor included. If you don’t want to worry about unexpected printer breakdowns, then a no-contract maintenance program might be a good solution for you. Your computer printers get professional, routine maintenance and service, eliminating costly repairs and downtime. Prevent printer down times with preventive maintenance. Be proactive. We vacuum each printer. Clean it thoroughly. Clean printers are working printers! Once a printer is cleaned, we inspect it for marginal components or sub-par consumables. We look for wear and tear on belts, ribbons etc. Our last step in the process is to test each printer extensively. We make sure your printers perform like they’re supposed to. With this basic plan, we get to know your equipment well. We track your printers’ performance month-to-month. If you’re looking for printer repair Fort Worth, then we can help. Our rates are very reasonable and provide excellent service. We can help with ongoing maintenance or just a one time repair. 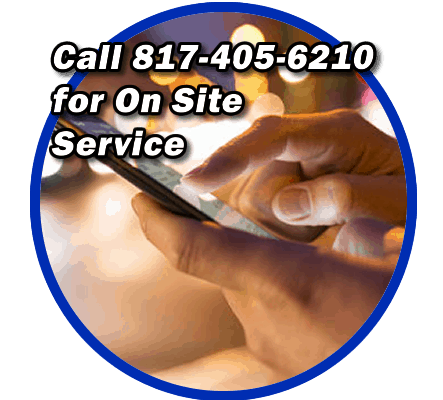 We service IBM, Printronix, Zebra, Genicom, SATO, Microplex, and Tally in the Fort Worth area. Ship us your broken printers and we restore them to factory specifications usually within 3-5 days. We pick-up and deliver in Tarrant and Denton counties. We diagnose and quote parts for your approval before doing the job. In some cases, we can quote parts cost before sending the unit to us. If you just need a print head, we can help you determine which part you need and order the correct print head.